Join our Celebration of Harvest and Community! Since 2011, we’ve opened up our Howard Street Farm every fall for a community celebration. The HULLABALOO is our way of celebrating autumn, harvest and progress we made in building the Howard Street Farm from weed to seed. This year’s Hullabaloo will open with PUMPKINS! Grab a pumpkin at noon and stay to decorate it! Emcees Mike Nowak of The Mike Nowak Show and Peggy Malecki of Natural Awakenings Magazine will guide you through the day’s activities. We are excited to announce two storytelling sessions by Elysabeth Ashe. Elysabeth tells nature folktales and spooky stories that tantalize the imagination and stir the senses. Elysabeth has performed at festivals, conferences, nature centers, and academic settings for almost twenty years. She is also the Youth Programs Director at the Jewish Council Youth Services and an experiential educator with a primary focus on team-building. Details: All are welcome. * Family-friendly. Casual. $5 suggested donation per person/$20 per family. Pumpkins $6-$8 each. The Howard Street Farm is located at 3669 Howard Street in Skokie, behind the Tot Learning Center. Free parking onsite. 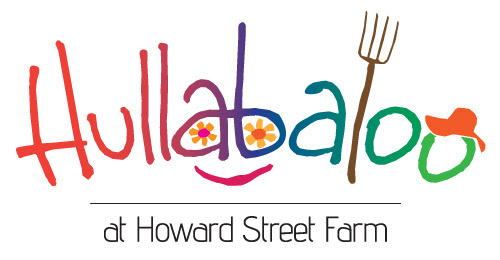 All proceeds raised from the Hullabaloo support The Talking Farm, a 501 (c)(3) nonprofit organization that operates the Howard Street Farm. Special thanks to the Skokie Park District for helping us host this event.